Ever since VoIP services like Skype for mobile went mainstream and Unified Communications continues to provide a way for us to unhitch ourselves from the desk phone, pundits have been prophesying the death of desk phones. The reason for the desk phone death watch is largely due to continued convergence of communications. 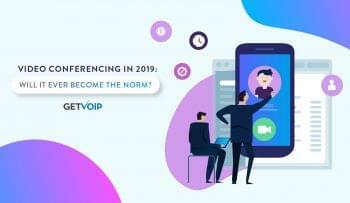 With this convergence, comes an increase of employees messaging, cloud collaborating, sharing calendars and Web conferencing on mobile devices and through browsers for corporate connections in lieu of making calls. With Millennials, the desktop phone is already filed under “extinct,” as many younger workers prefer to use mobile devices and messaging for business communication. Desk phones can plug into VoIP PBX systems or connect to POTS lines. Phones connected to POTS provide call fail over and redundancy when cellular service fails or the Internet connection powering a VoIP system goes down. Many companies are not ready to be saddled with the burden of figuring out taxes and fees for each employee’s company-provided cell phone. Charges can vary based on an employee’s location, data needs, roaming plans and more. A lengthy call on a cellphone can be an uncomfortable experience. Plugging in an ergonomically-designed headset into the USB port of an IP desk phone is a far more pleasant experience than using a cellphone or earbuds. When it comes to the quality of speakerphones, there is no comparison between a high-end desk phone like a Polycom to the often-tinny quality of a cellphone’s speaker. Accessing voice mail via a smartphone can often require a series of steps including entering an access code. 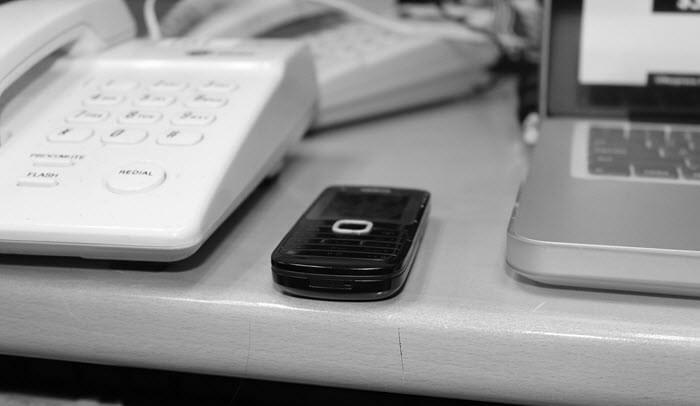 Many desk phones allow for one click access to voice mail. One great convenience of desk phones is that they are tapped into an entire company’s phone directory without requiring any end-user intervention. This often also means speed-dial access to anyone in the company. Most desk phones can perform group pickup, a convenient and quick way to get a team call together. Don’t underestimate the usefulness of Call Lamps. This is a feature on most desk phones that will let you know if a colleague is on another call if you try to transfer a call or include them in a conference. Hosted VoIP and landline prices are usually cheaper than cellular prices. Many companies still have front office staff who must work with multiple phones lines and require desk phone/console features such as shared line appearances. Some company networks may block VPN, IM and SIP traffic for security and performance reasons. In these networks, land lines and desk phones are the alternative for calls. The chance of losing your desk phone is almost nil. It’s very easy to lose a mobile device. Face it, not everyone in the company is going to be adroit at using IM, the latest smartphones or different facets of Unified Communications. Some employees may need training when companies substitute other communication methods for phones. With desk phones, everyone pretty much gets how they works. Cellular connections and desktops or laptops that may be used for calls, typically offer inferior call quality than desk phones. Smaller businesses may find cost and support options prohibitive in adopting a comprehensive UC solution, instead opting to keep existing telephony and desk phones. Having many methods for corporate communications can ironically, turn into a counterproductive distraction. It’s easier in both time-management and efficiency, in some cases, to limit work communications to calls and colleagues stopping by your desk.